Sub-zero temperatures, snow on the hills, blue skies. The last few days have seen excellent winter weather in the Scottish Highlands. Unable to resist I tore myself away from my desk despite looming deadlines and headed for the Cairngorm Plateau to the walk over to Ben Macdui, a favourite trip anytime but especially when snow makes the mountains seem vaster and grander and more beautiful. Strathspey was under a layer of cloud as I drove to Coire Cas. Only as I passed Loch Morlich did the sunshine break through. 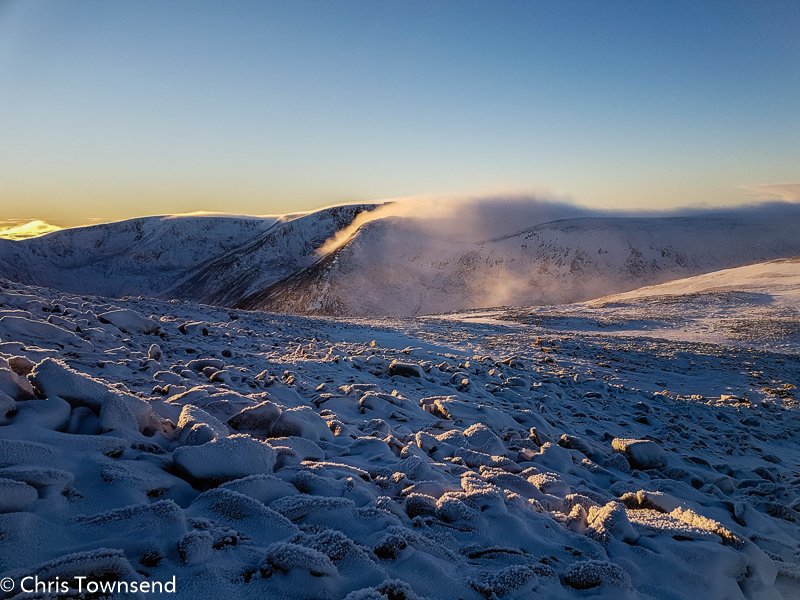 The northern edge of the Cairngorms shone under a clear sky. It looked like being a wonderful day. Just how wonderful I had no idea. I climbed up the long ridge that leads to the Plateau, crunching through the snow. Once there I looked back to see clouds covering the valley. 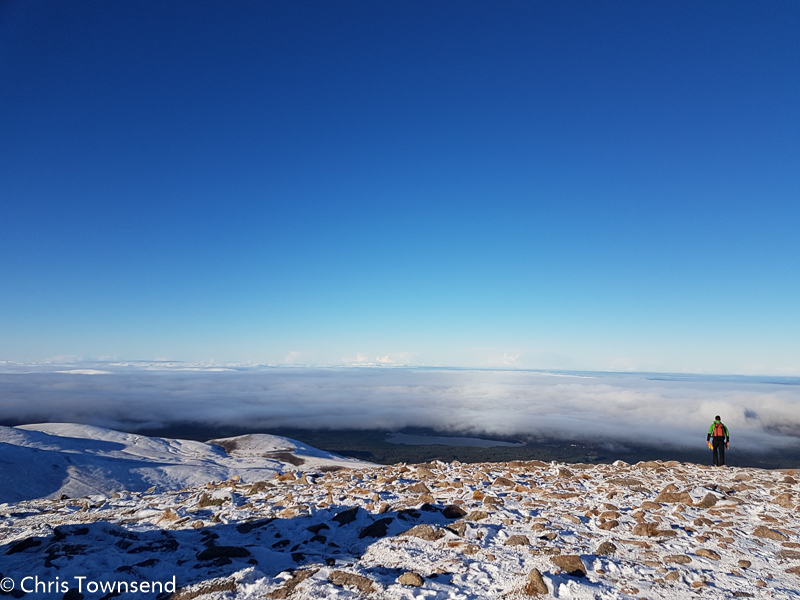 A few strands of mist drifted across the hills to the south but mostly the sky was clear as I set out for Ben Macdui. 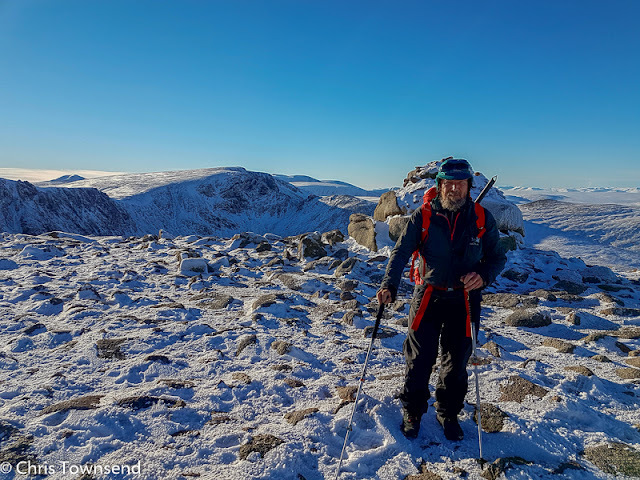 Many climbers were finishing routes on Stob Coire an t-Sneachda. There was no wind and in the sun the air was warm though the ground was frozen solid. 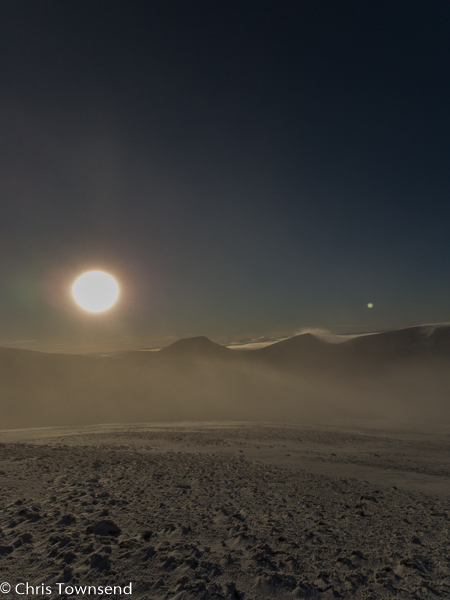 As I looked across the Plateau the mist began to rise and thicken and the sun became a huge ball shining hazily through the thick air. The world started to feel a little insubstantial. The mist moved slowly over the snow, creeping up slopes and slipping over the rocks. At times I could see little, at other times the brightness was harsh yet distant hills were vague and soft. At one point I was under a blue sky and sharp sunshine yet all around rose walls of mist, making me feel I was at the bottom of a deep hole, not a usual feeling high on a mountain plateau! Then the fogbow appeared, a giant white arc over the eastern sky. It stayed there all the way to Ben Macdui, fading occasionally, showing signs of colour at times, but always there, dominating the landscape. I've never seen one so big, so clear or for so long before. It was truly extraordinary. To the west the mountains came and went in the mist. 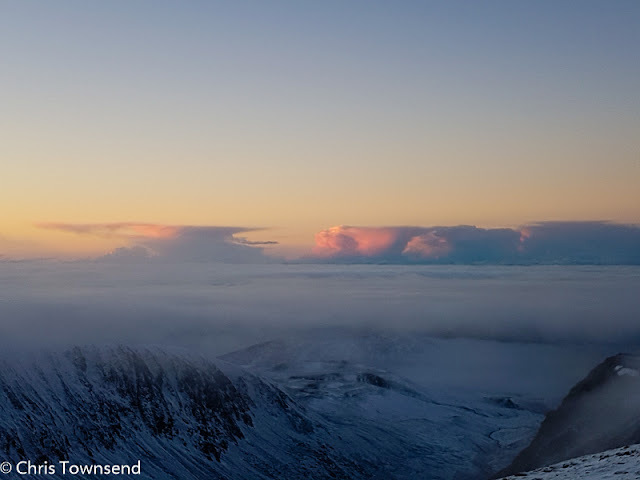 Cloud draped their shoulders then rose to envelope the summits before sinking or drifting away. Nothing felt quite real. A word came to mind. Phantasmagorical. Underfoot the snow varied from soft and deep to sparse and icy. I didn't crampons or ice axe but was glad I had them. A slight hardening of the surface and they'd have been necessary. 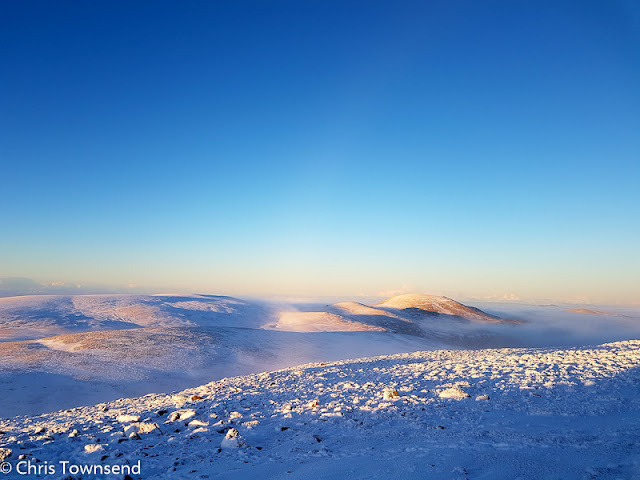 On Ben Macdui the sun shone whilst the mist shrouded the hills to the east. As I returned across the Plateau the mists cleared a little and the world looked a little sharper though sudden surges of cloud reminded me this was not a 'normal' day. The shadows were lengthening and stretching out to Cairn Gorm, which glowed in the low sun above glens filled with cloud, as I left Ben Macdui behind. 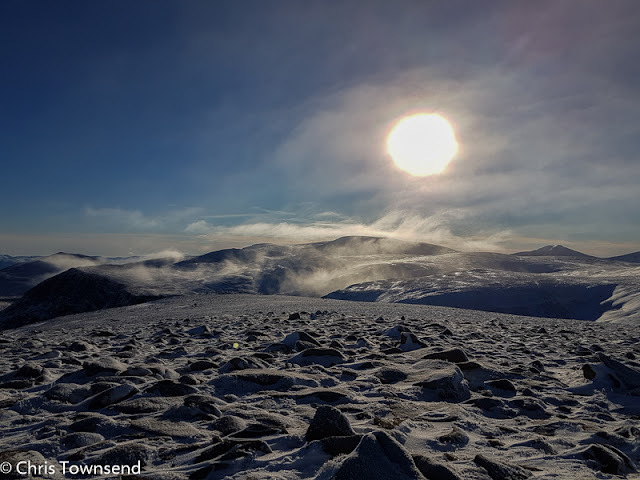 Crossing the slopes of Cairn Lochan as dusk fell and the now hidden sun lit up distant clouds I looked down into a sombre grey Lairig Ghru pass stretching out into mist-filled Strathspey. Soon it was dark and an extraordinary day was over. 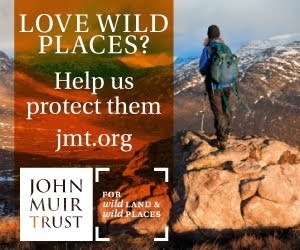 Im up to the Cairngorms next week for five days backpacking. How deep is the snow on the plateau, looks thin in parts on your pictures despite a fairly wide covering. Thanks Mark. Yesterday the snow depth was very variable. On east and north slopes it was up to knee deep and soft. Elsewhere it was much thinner and quite compact. Today it's raining down here (300 metres) and almost certainly snowing high up. By next week conditions could have changed considerably. Hope you get good weather! 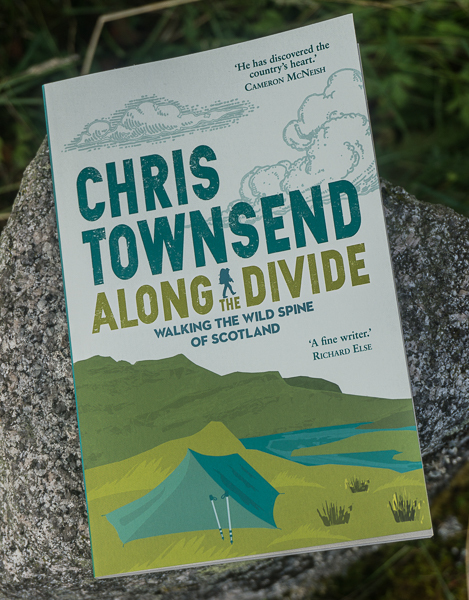 Excellent pictures and words Chris. One of those 'special' mountain days for sure. 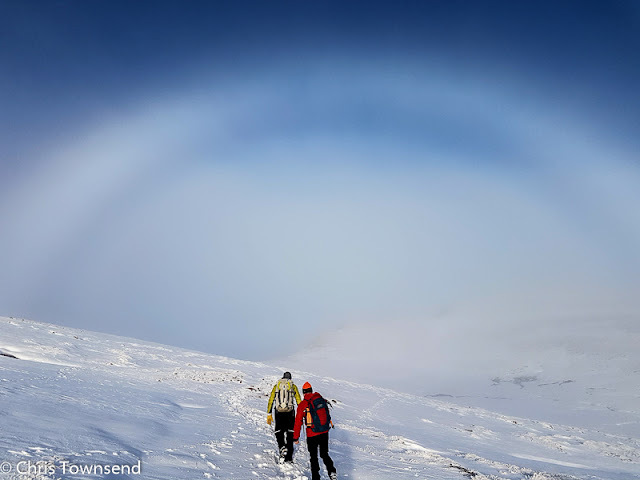 Amazing fogbow. 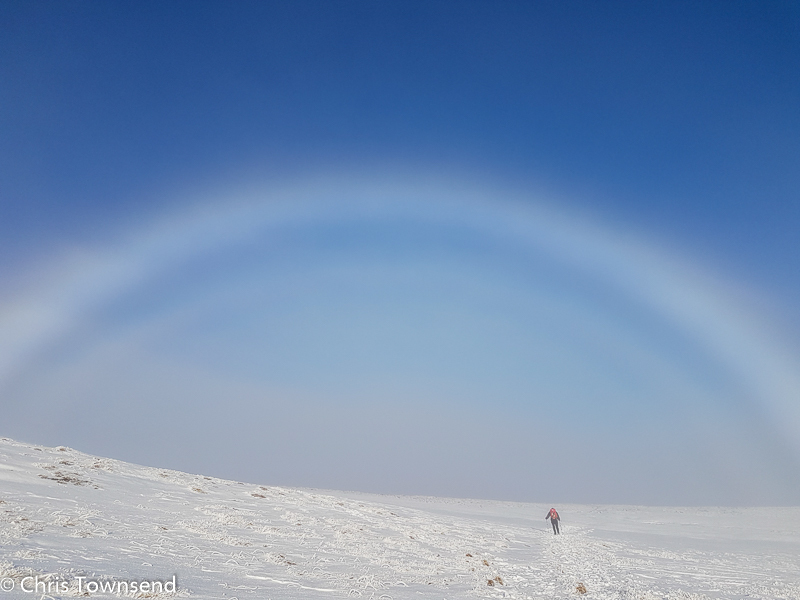 I was there a few days after you and got a great picture of me on the summit of Ben Macdui standing under a fogbow. 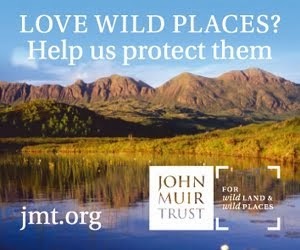 It's the best part of the UK for any outdoors types.